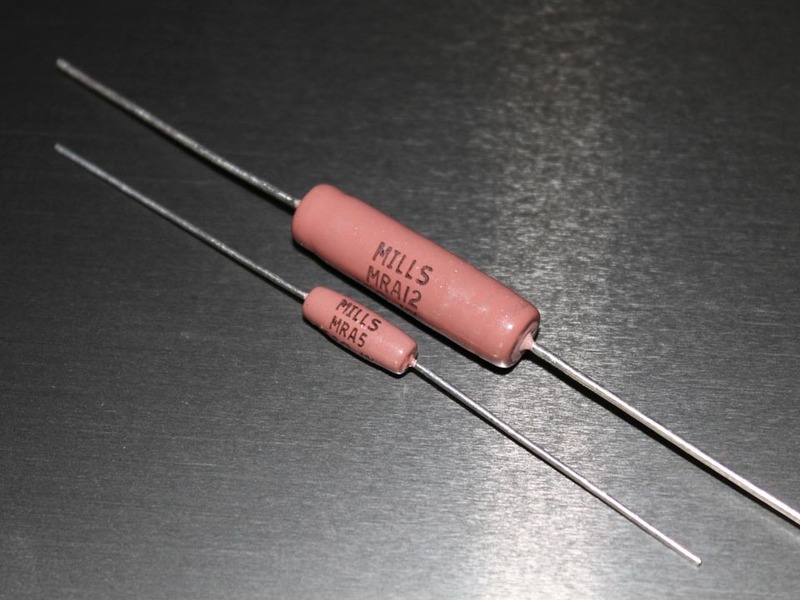 All of our Vishay/Mills resistor values are 1% tolerance. The MRA-5 (5 watt power rating) will handle overloads 5X its power rating (25 watts) for 5 seconds with operating voltages up to 500V. The body measures 0.562" ± 0.062" in length by 0.167" ± 0.031" in diameter. The leads measure 1.500" in length minimum by 0.032" in diameter. Made in Mexico.